Thanksgiving celebration is never complete without the turkey on the table. For quite a long time now, this has been a permanent fixture, a traditional food for the families in seasons like this. Turkey is traditionally cooked in the oven. However, you might have noticed that this big bird can take up your entire oven, leaving you on space for anything else you might want to serve! Help is here. Free up some oven space by deep frying your Thanksgiving, Christmas or Easter turkey. It’s easier than you might think so don’t be intimidated by it! Do you know that from this year onwards, you can already serve your family and loved ones homemade turkey that’s deliciously made? Not only that! You can possibly feast on deliciously fried turkey even if you are still far from Thanksgiving. You can actually serve homemade turkey on the table to enjoy family meals every time. All you need is a turkey fryer, specifically the outdoor cookers to enjoy the dish anytime, whatever the occasion is. Also, you need to know the fried turkey safety to spend worry-free meals with everyone at home. You need not be a culinary expert to know the safety tips. You need not have the most expensive cooker either to master the fried turkey safety guidelines. Five simple steps are what it takes to deep fry a turkey safely. Let’s Get to the Outdoor Deep Frying Safety Tips! 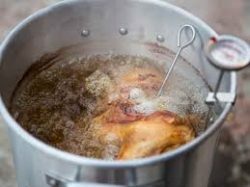 Keep reading for the Top 5 Turkey Frying Safety Tips! #1: Do the frying more than 10 feet away from home. 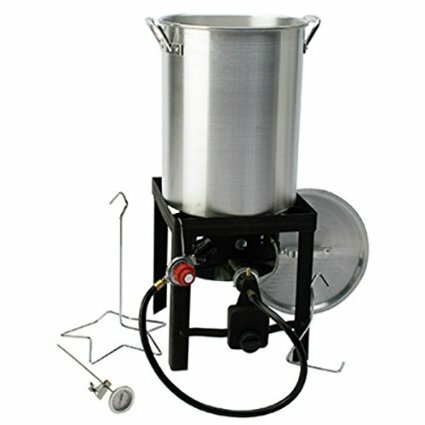 Position your turkey fryer 10 feet (or even more) from home. Be sure your children and the pets are not near your cooking area, too. The worst thing that could possibly happen is that someone trips, falls into your fryer and knocks it over. Most of all, don’t ever leave your turkey fryer unattended. You need to stand next to it the entire time that it’s cooking. Don’t worry though…deep frying a turkey doesn’t really take that much time and it will certainly be under an hour. For smaller turkeys, it can even be as quick as 30 minutes or so. #2: Cook the turkey on a flat ground. Your cooking oil must be steady and evenly distributed to guarantee safety. 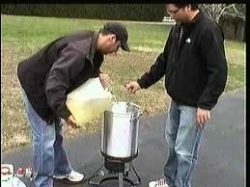 Put your turkey fryer on a flat surface and carefully measure the amount of oil you need for frying. 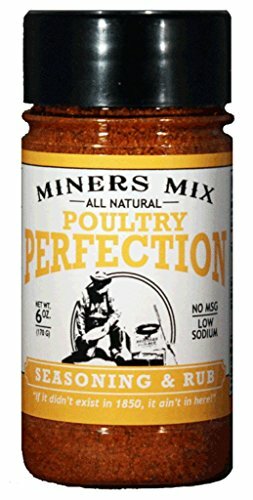 The other benefit of deep frying turkey on flat ground is that the stand and pot will be far more stable and less likely to tip over accidentally or from something like a strong gust of wind. 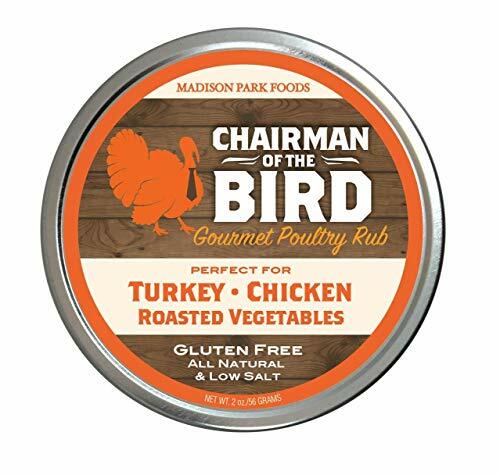 We recommend getting a level and checking the patch of ground you want to fry your turkey on. What appears level may not in fact be! #3: Make sure your turkey is thawed and dry before frying it. Excess water in your turkey can cause furious bubbling in your oil, as well as spillovers. If there is a spilling from the turkey fryer going to the burner, this can possibly result in fire. We recommend patting dry the turkey with paper towels in order to ensure it’s as free from moisture as possible. #4: Keep watching the temperature. Be cautious each time you touch the turkey fryer. Both the handle and lid can be overly hot and can cause burns. More so, it is important that you monitor your oil’s temperature so that it doesn’t get too hot. 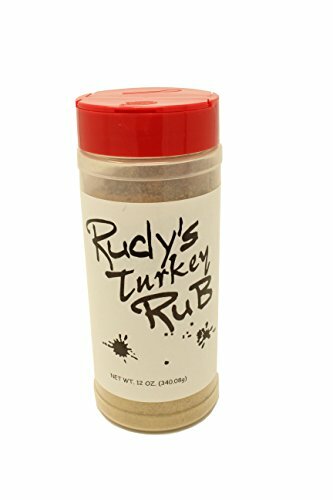 And of course you don’t want your delicious turkey to burn! Check out our Top 5 Turkey Frying Thermometers. If you have an outdoor cooker, you should also have a fire extinguisher for a partner. 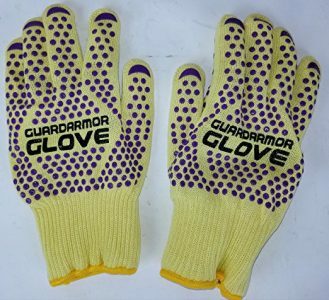 This pair gets you ready for situations like oil ignition for one. And of course you need to remember to never put water on a grease or oil fire. You really do need a fire extinguisher just in case things go badly when deep frying a turkey. Of course, you should also have your pair of turkey frying gloves close by. Safety first! Delicious turkey second. 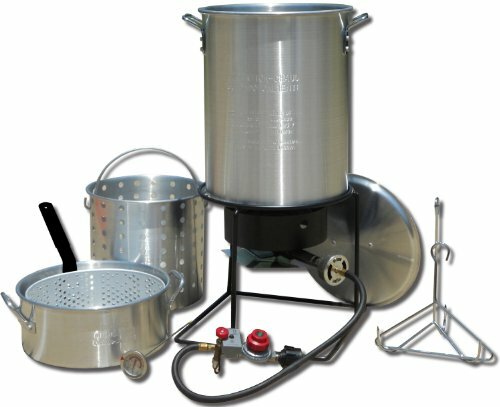 Need a Turkey Deep Fryer? Now that you’re equipped with five simple fried turkey safety tips, you’re ready to prepare and serve the traditional dish, homemade restaurant quality style. Deep fried turkey is really delicious! 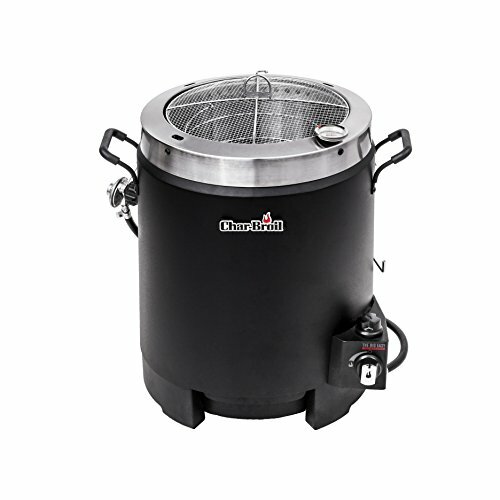 If you don’t have a turkey fryer yet, highly recommended is the Kamp Kitchen Turkey Fryer. 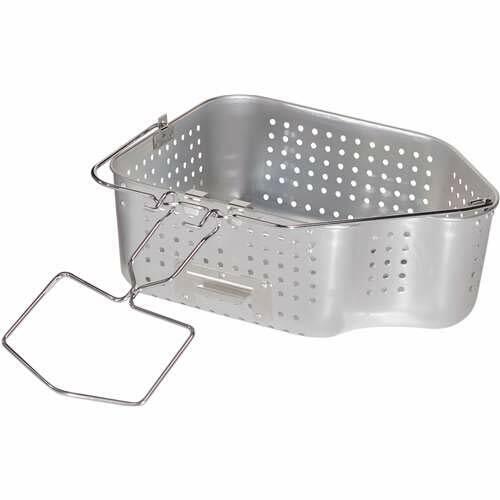 It is designed for outdoor deep-frying. This cooking equipment has the qualities you need for outdoor cooking at just a low cost. 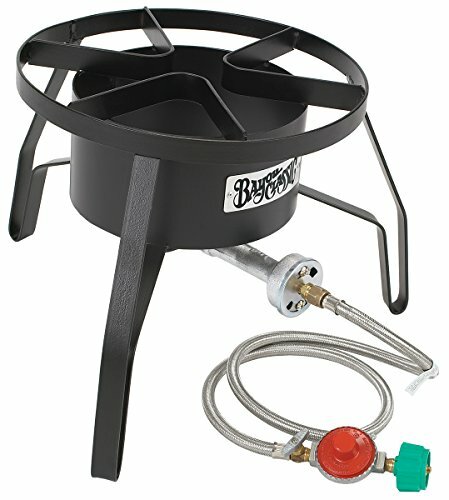 Its burner releases a powerful 38,000 BTU, allowing your oil to heat up fast and retain its temperature once you dig in your turkey. 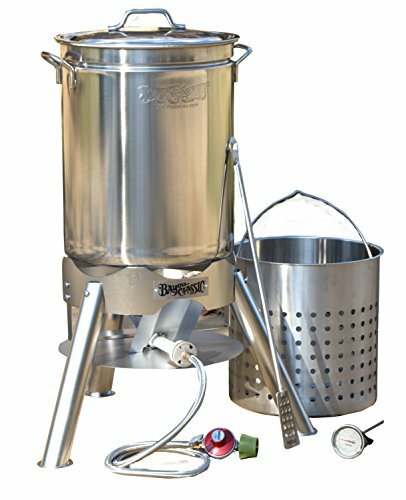 For more outdoor turkey fryer options, you may check out our Top 5 Outdoor Turkey Fryers.